Hot from the vault, “Paper Cup” played live on the RSR (Swiss National Radio) with Seb on drums, Jacques on bass and myself on vocals, acoustic guitar and harmonica. Followed by an interview. Yesterday we went to Radio Suisse Romande la 1e for an interview and a song live. The program’s called Radio Paradiso and it’s always fun to go there. There’s a cool atmosphere in this big radio studio. Cool things are happening in the promo field. I’ll be on RSR La Première for an interview and a song live on Thu April 9, 19h-20h, on Radio Paradiso. 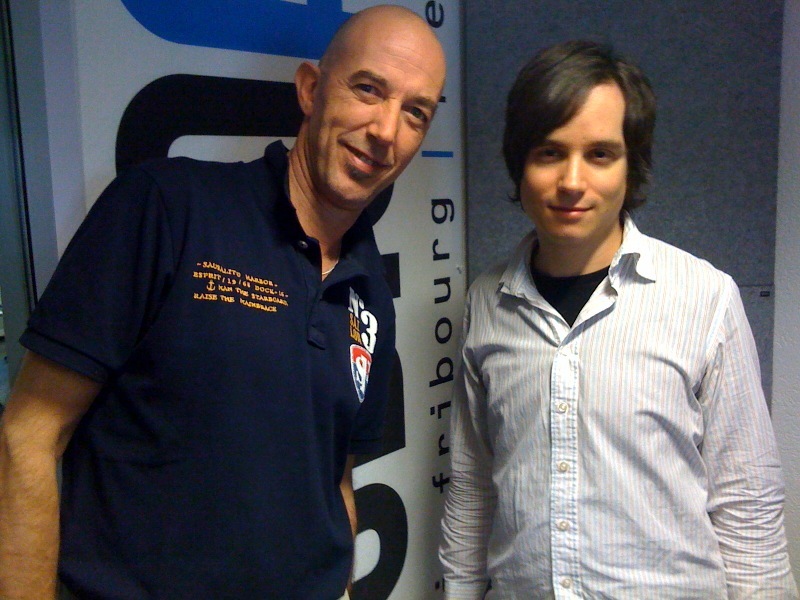 The cd has just been reviewed on Radio Fribourg, here’s the link to listen. On the live field, we’ll open for Marissa Nadler at the Bad Bonn on tue May 12. There’ll be a fnac in-store free concert in Fribourg on Thu April 16, 18h.